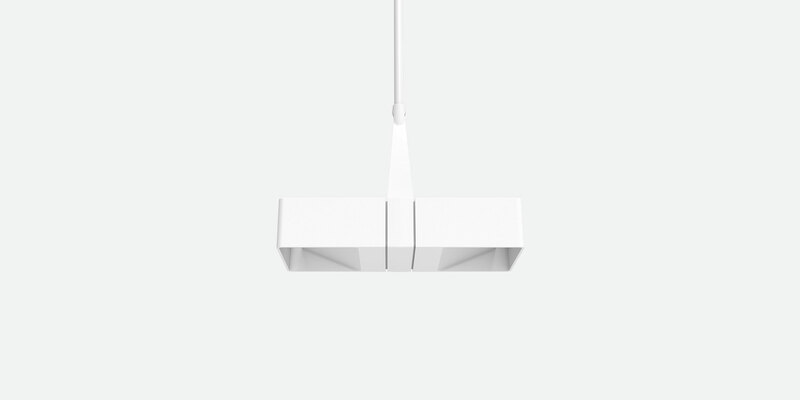 Ceiling suspension luminaire with axially symmetrical indirect flood optics in fixed orientation. Custom rod suspension length. High pressure die-cast powdercoated housing, IP65. Remote driver. Active power factor correction, current regulation, voltage spike protection.